Entertainment Weekly Magazine April 8, 2011. 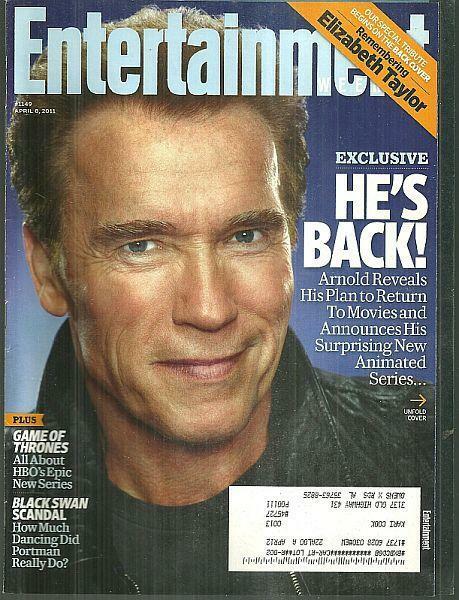 Arnold Schwarzengger on the Cover. 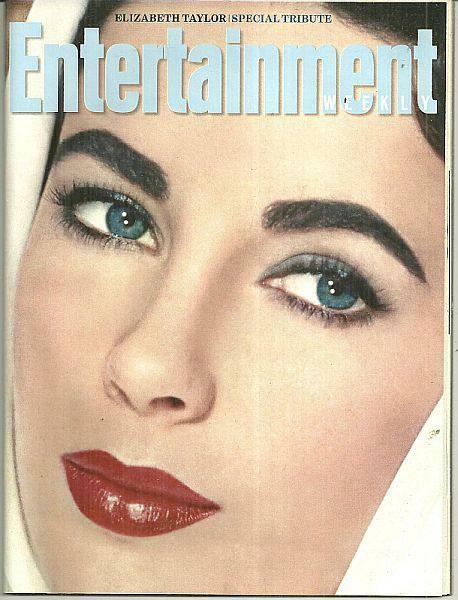 Back Cover and Special Tribute to Elizabeth Taylor. Articles inside include Arnold Schwarzengger, Game of Thrones, Elizabeth Taylor 1932-2011, Movies, TV, Music, Books, Stage and more. Magazine is in good condition, wear at edges.